Minister of Housing Selina Robinson speaks at a news conference in Vancouver on Tuesday, Jan. 16, 2017. Vancouver's most impoverished neighbourhood is getting a bit of help from the province in the form of 450 units of rental housing. The Ministry of Municipal Affairs and Housing has promised an $83-million investment in four projects all located in the Downtown Eastside. Minister Selina Robinson said Tuesday the units will be geared towards low- to moderate-income households, with renters paying between $375 and $1,272 per month. The units will be made available at 58 West Hastings St., 301 East Hastings St., 23-51 Cordova St. and 616 Cordova. Housing will be operated by the Chinatown Foundation, PHS Community Services Society, Union Gospel Mission and a fourth organization, to be determined. The West Hastings address was once home to a homeless encampment, but the city was granted an injunction in 2016 to dismantle the camp. The Vancouver Chinatown Foundation said its plans for the lot consist of a 10-storey structure with seven floors of residential space. The land is being leased from the city. The East Hastings location was once owned by the Salvation Army and used to offer services to those in need, but the building has sat vacant since being taken over by Vancouver Coastal Health. "We are building a mix of housing here that will help people who have been struggling to find homes they can afford in their community," Robinson said. "People in the Downtown Eastside shouldn't have to leave their community because of a lack of appropriate housing." The neighbourhood known for levels of drug use, mental illness, homelessness and poverty will also see more support services made available as part of the upgrade. 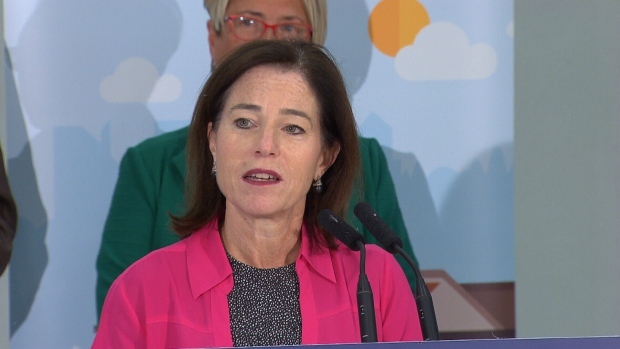 The ministry said Vancouver Coastal Health plans to run community health centres in both buildings on Hastings for community clients in need. VCH's director of inner city, mental health and substance abuse said the Hastings buildings will host a new health-service model of care meant to be more integrated and accessible. Services will be available 12 hours a day, every day, and support staff will be on-call during off hours. Union Gospel Mission already operates a stabilization program that includes live-in suites at the site on Cordova, but the investment will help cover the cost of a brand new building, "expanded and rebuilt from the ground up," spokesperson Jeremy Hunka said. The new Women and Families Centre will be home to 63 units – 36 family units and 27 treatment units – UGM's largest expansion in more than 75 years. Manager Barb Atkins says the new facility will help save lives and "change the trajectory of entire families for generations. "It means fewer women on the street, fewer children in poverty and more thriving families." The province's minister of mental health and addiction said she's hopeful the projects will help build stronger communities and help vulnerable people feel hopeful and heal. "I've met some incredible, resilient people who live and work in the Downtown Eastside, and heard firsthand how crucial affordable housing is to help them focus on every aspect of their health and safety – including mental health and addictions treatment," Minister Judy Darcy said. Funding for the project is part of a 2017 budget commitment to invest $208 million for 1,700 affordable rental housing in B.C. over four years. The province has also committed to $291 million to support construction of 2,000 modular housing units for the homeless, and $170 million over three years for staffing and support services.